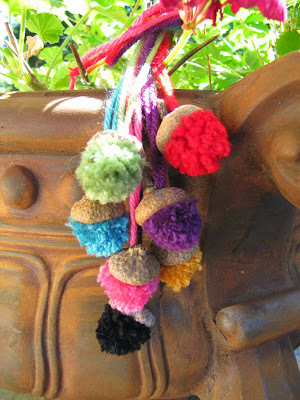 I'm back on the POMPOM train!!! I don't know where the last week and half went, so don't even ask. 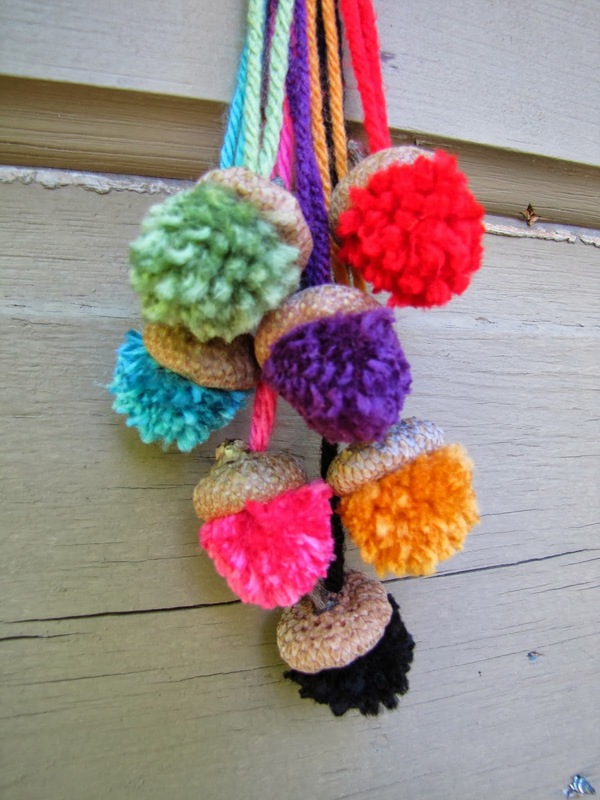 But here we are on Monday and the pompomery is rolling and I have just the cutest little pompom project that is perfect for fall. Tiny acorn pompoms, yes, tiny acorn pompoms!!! Mark and I went to an awesome park last week and found tons of acorns. I knew I "needed" to bring a bunch of them home for projects, squirrel feeding, etc... Luckily for me my husband understands (and accepts) my madness and he helped me gather a bunch of them. *Side note: I go for quantity and Mark goes for quality, finding perfect specimens while I just get as many in the bag as I can carry. We are a perfect team! After a bunch of the acorns became disconnected from their little caps, I decided that an acorn cap plus a pompom would equal total fall cuteness! I mean seriously, are these not just the cutest little acorns!?! I love them and they are just the easiest to make. You can make a pompom, which is what I did, but you could also just glue a pre-made pompom from the craft store onto the cap. I made a tiny hole with a drill bit so that I can hang them from a piece of yarn. But you don't need to do that if you just want to put them in a bowl. Get going, go find some acorns, it is pompom acorn season!